Other Skywatch Friday pictures are here. Tomorrow is the Hotcake Hustle 5K/10K in Addison. Its going to be cold, but at least it will be dry. The following weekend is Too Cold to Hold 5K/15K at Norbuck Park. Both races are part of the Run Project, a series of 7 races in the Dallas area. Brian and I were one of the 200 people that signed up for all 7 races. We also signed up for the Patriot Half Marathon in Rockwall, TX on May 28, 2012. 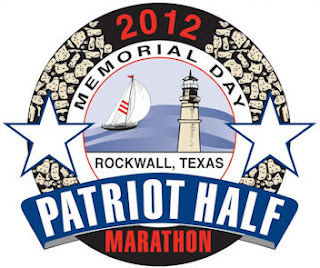 That will give us 2 half's for the first 6 months of 2012, the other the Dallas Rock-n-Roll Half in March. The heat is still on Dr.Pepper/Snapple for their handling of the Dublin Dr.Pepper fiasco. DPS has promised to continue the Dr. Pepper Days in June in Dublin. 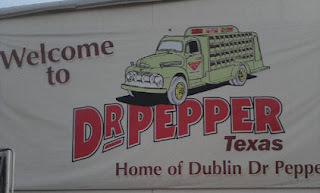 There are a lot of people pledging to boycott all Dr. Pepper products, but we need to support the Dr. Pepper Days held in Dublin. Supporting the Dr.Pepper Days and the accompanying 10.2.4k run will show support for the community of Dublin. They are already going to be taking a financial hit with the loss of jobs. I am sure the people of Dublin will make sure Dr.Pepper Days is fun for everyone.